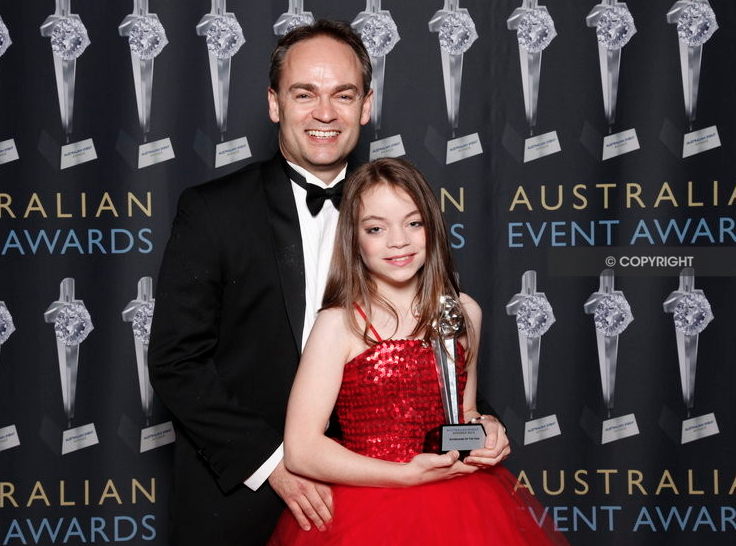 Father and Daughter duo Darryl & Harmony Lovegrove won the highest accolade for entertainment in the corporate and special events industry being 'ENTERTAINER OF THE YEAR' at the prestigious Australian Event Awards 2012. At just 12 years old Harmony is the only child to have bestowed such an honour. 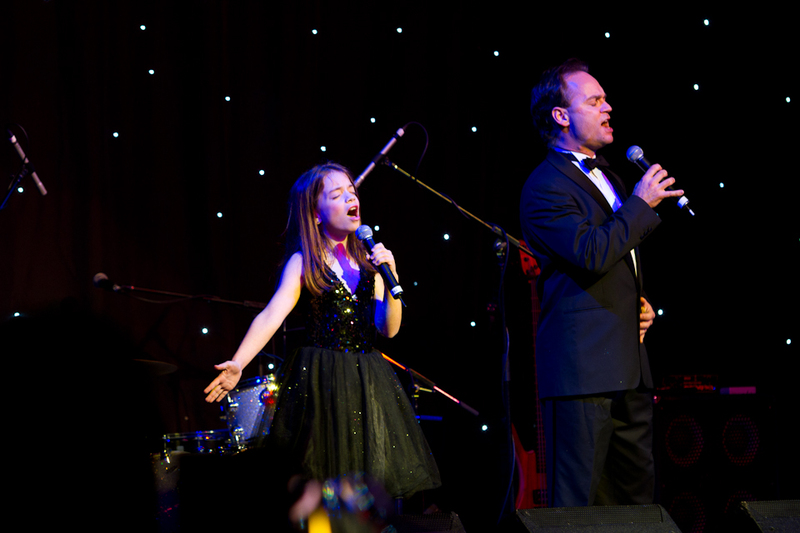 Invoking the spirit of much-loved "Father-Daughter" duos Frank and Nancy Sinatra and Nat and Natalie King Cole - award winning performers Darryl Lovegrove and his 12 year old daughter Harmony bring to the stage a unique and special magic that makes audiences everywhere feel good! This extraordinary Father-Daughter duo offer two show options - one being a collection of Broadway blockbusters, contemporary classics and operatic arias including The Prayer, Time to say Goodbye, Somewhere from West Side Story, What the World Needs Nowby Burt Bacharach, The Greatest Love of All and selections from Jesus Christ Superstar, Phantom of the Opera, Beauty & the Beast, Aspects of Loveand Annie. The other show option entitled 'We are Family' is a tribute to the Father-Daughter duos who have gone before them - Frank and Nancy Sinatra, Nat and Natalie King Cole, Australia's own Jimmy and Mahalia Barnes in addition to some of the greatest songs ever recorded by families including The Carpenters, Donny & Marie Osmond, Judy Garland and Liza Minelli, The Jackson Five, The Beach Boys and even the Beach Boys! Well known for his award-winning portrayal of Jesus in Harry M Miller's Jesus Christ Superstar with Jon Stevens and Deni Hines, Darryl won both the Australian Singing Competition and was a finalist in the Asia Pacific Singing Contest in 1989. Appearing in Les Miserables, Chess and alongside Sarah Brightman in The Music of Andrew Lloyd Webber heis the co-creator of the worlds' most successful corporate entertainment act and operatic sensation 'The Three Waiters'. When Tina Arena compares an 11 year old singer to Barbra Streisand - chances are she's worth listening to! Two-time Eisteddfod award-winner and one of the youngest featured artists in the Schools Spectacular 2011 and 2012, Harmony came to the public's attention in the Network 10 revival of 'Young Talent Time' where judge Tina Arena compared her to a young Barbra Streisand and Whitney Huston. Representing two of the finest voices of their respective generations - Darryl & Harmony's vocals will give your audience 'goosebumps'. Some audiences are moved to tears, many are driven to a standing ovation but each and every audience demands an encore! Darryl and Harmony's performance was nothing short of breathtaking. Their unique Father-Daughter performance overwhelmed everyone in attendance. Both performers are incredibly talented in their own right but as a duo they are simply amazing." "To say that guests were absolutely delighted would be an understatement. Everyone was genuinely impressed by Harmony's talent and it goes without saying that the unique flavour of this Father-Daughter combination is truly heart-warming and completely exceeded my expectation for something 'completely fresh and new." "Barbra Streisand may as well hang up her microphone Harmony because I think you are extraordinary"
"Your performance left everyone in the room speechless or in tears and was truly special." Grant Williams, Executive Producer "A Current Affair"
"WOW Harmony - you blew me away"
"Harmony - you are an inspiration"
Mark Vincent - Winner "Australia's Got Talent"
“Alongside her Dad, Harmony and Darryl command the room”. “Having them on the show (2UE) was such a highlight we had to replay the performance the next day!" "I am amazed by Harmony - not just her talent but her depth of understanding of what Make-A-Wish does and brings to children with life-threatening illness. Thank you all for your wonderful contribution to the Make-A-Wish Balls in Sydney and Melbourne".